Not too long ago, my magazine had the privilege of being a media sponsor for a stunning “Table Top” event which happens annually at the Ritz Carlton Hotel in St. Louis. The event is held to raise money for Children’s Hospital and draws a huge crowd every time. 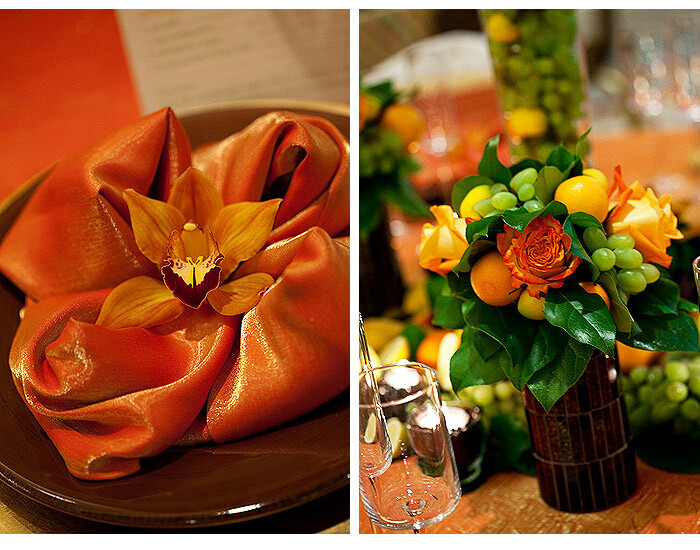 Vendors from all over St. Louis come together and design tables in various party themes. From florists, caterers and retailers, to bridal consultants, supermarkets, and even interior designers. 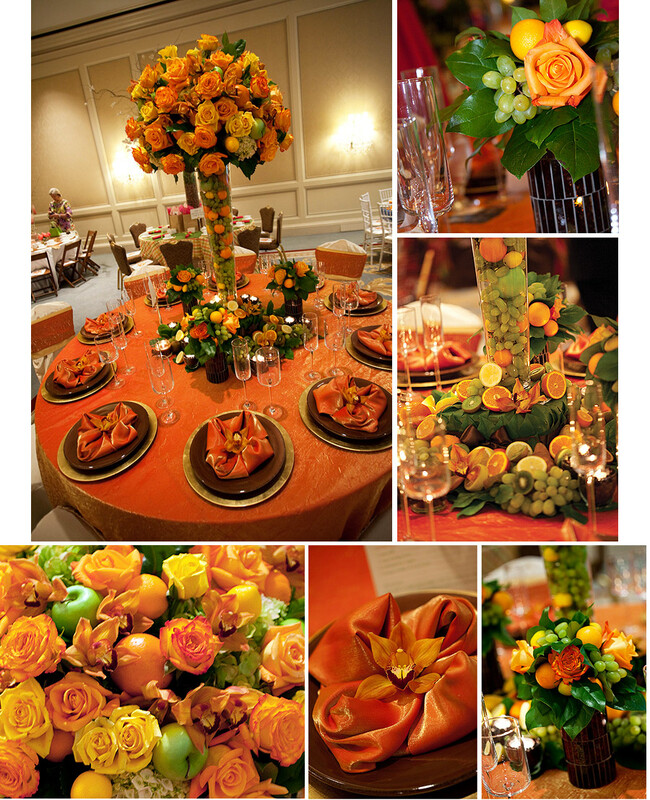 Anyone can design a table at the event and you will find some really creative ideas and inspiration. Yes, we consider her a genius. I asked to have a table that was reflective of our magazine cover, which was a mint-julep cup filled with tangerines. Sandra not only delivered but she blew the design out of the water! 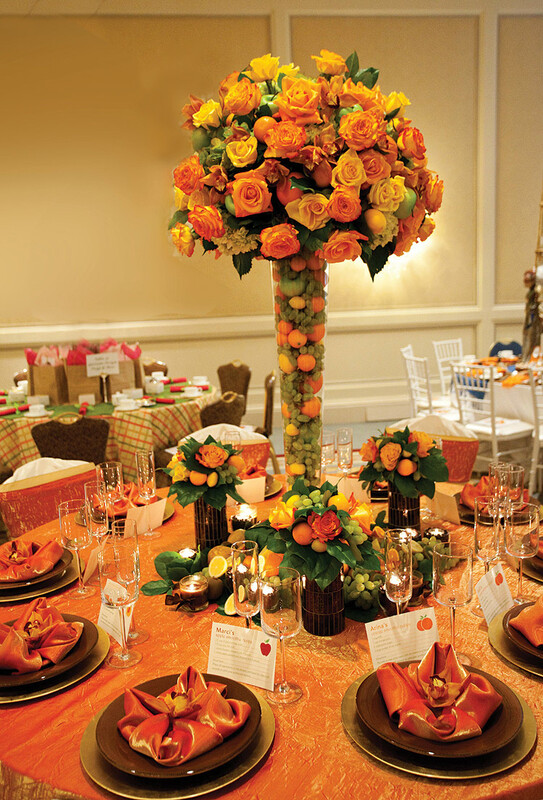 In a nutshell, Sandra used orange and yellow roses to create a stunning tall centerpiece. 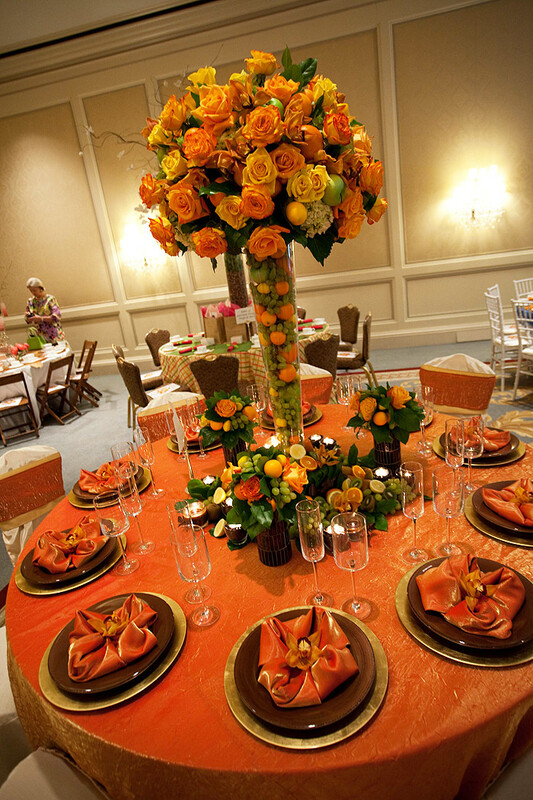 The top of the centerpiece was also filled with oranges, lemons, apples, hydrangeas, and orchids. It took three people to help Sandra hoist that stunning ball of beauty on top of the vase. 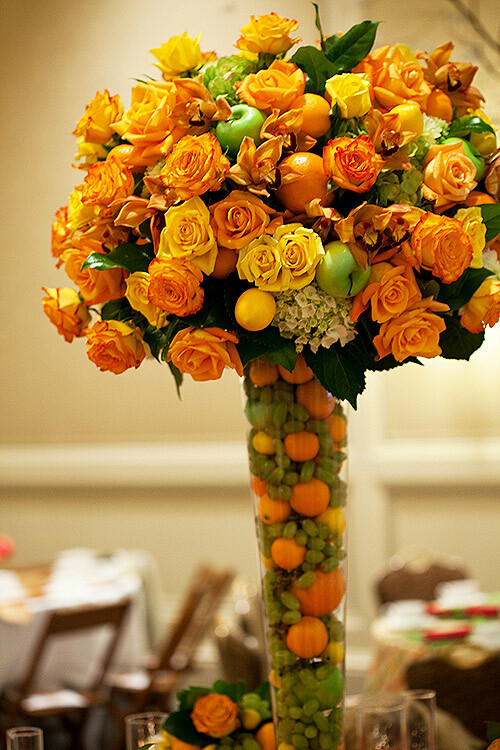 However, before the rose ball was installed, Sandra filled the vase with grapes, apples, tangerines, oranges, and lemons… GORGEOUS!! But it didn’t stop there! The base of the vase had three additional vases that were filled with more fruit and roses as well as a cascade of fruit that looked like a bounty of cut fruit. People could not stop staring! 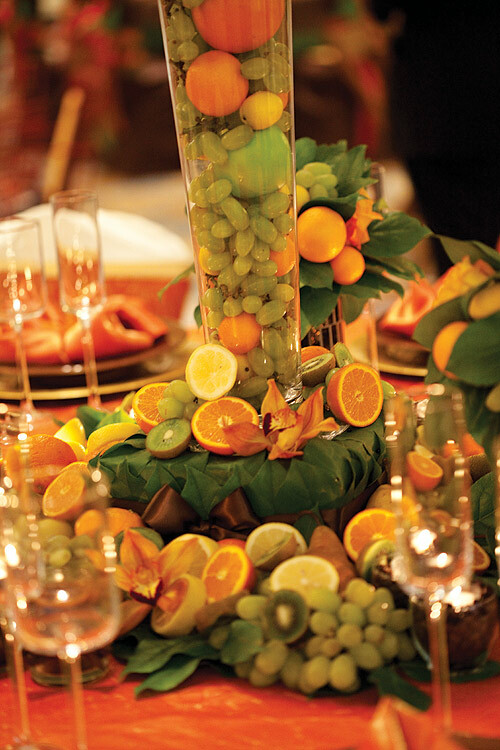 In addition, Sandra added more grapes, kiwis, lemons and limes… and of course, an array of tea lights flickered to cap the design off with a touch of romance. 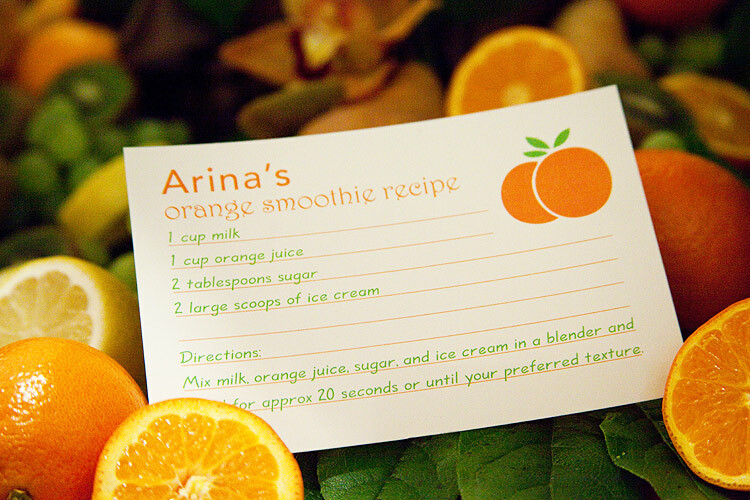 Emily from Slice of Lime, designed a creative place card alternative…recipe cards… yes recipe cards!!! All our guests at the table had a smoothie named in their honor and a custom recipe was left at their seat. On a scale of 1-10 for creative, Emily gets an 11!! Off the charts! The table photos still amaze many of my readers because this is a beautiful and classic design that will make any wedding or corporate event the talk of the town. Thanks Sandra and Emily!